Manufactured to replace the many weapons lost during Napoleon’s long campaigns or to equip Heavy Cavalry, which were not issued carbines until 1812, this carbine was assembled from a M1777 stock and barrel and a AN IX lock. 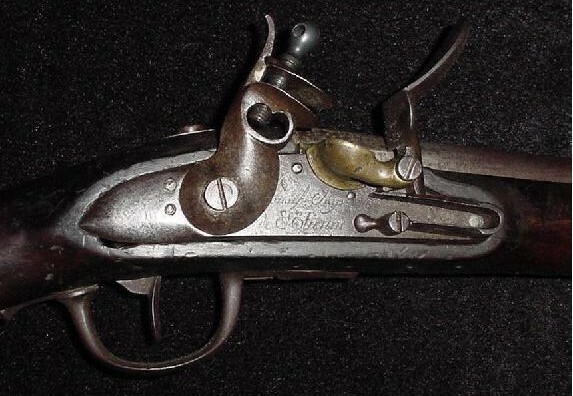 The stock and barrel were shortened to carbine length and it was likely this was all done at the time of its assembly in 1813. 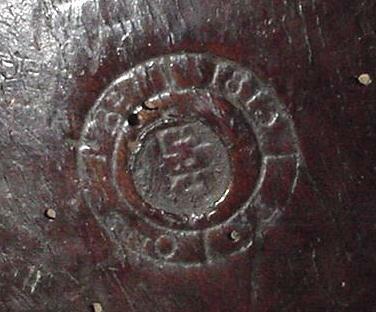 Stock bears cartouche with 1813 date, as does the barrel. AN IX lock marked “Manuf. Imp. de St. Etienne, with brass pan. 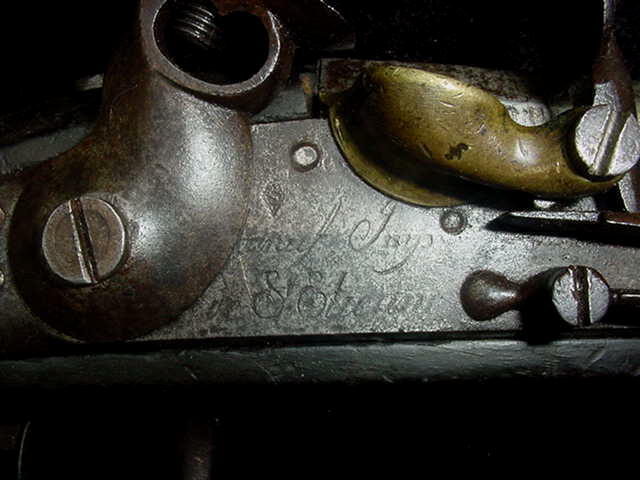 Double sling swivels, front bead sight. 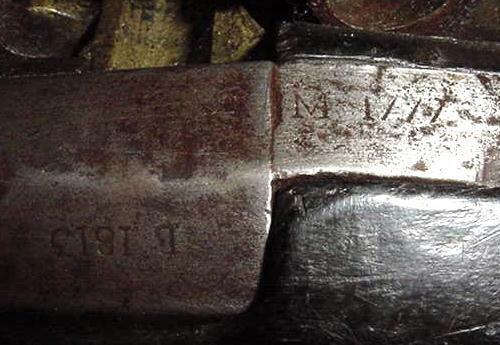 This carbine was clearly made in 1813 from armoury parts, as commonly practiced, and not assembled postwar. It offered the additional advantage of being musket bore (.70 cal. ), thus simplifying the supply of ammunition. Thanks to "ANTIQUEWEAPONSTORE" for the pictures. Back to "Manufacture impériale de SAINT ETIENNE"